It is always exciting to keep you in touch about new projects and commissions, however this month I thought you would be interested to hear updates on two of my existing public sculptures. 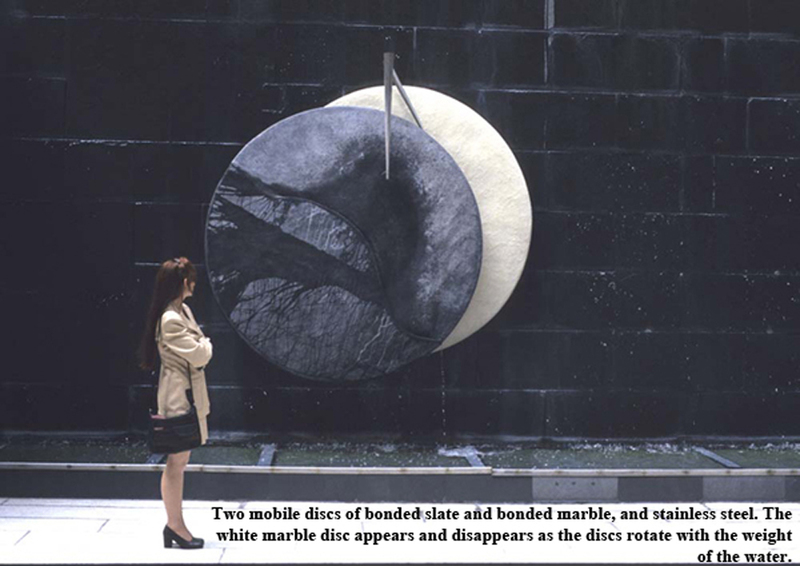 The Economist Plaza in central London, which has been home to my Eclipse water sculpture for just shy of 25 years, is set to undergo a complete redevelopment after the sale of the real estate to a new firm last year. Sadly for all involved, the new layout necessitates that Eclipse be removed from the Plaza. This does, however, open up a wonderful opportunity to find a new home for the water mobile. Eclipse will be temporarily staged in my Notting Hill studio as we search for the right location. We would love to hear from you if you have any ideas! Click here for footage of Eclipse in action. As one sculpture goes on hiatus, another has been given fresh life. 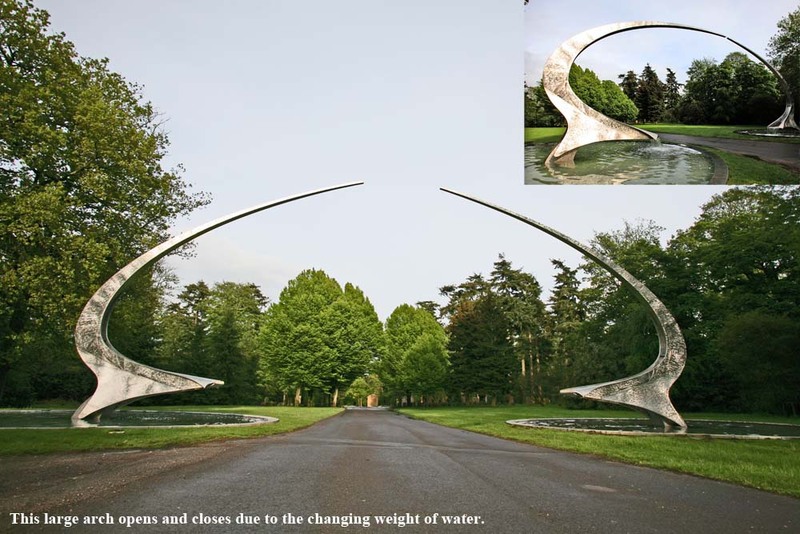 Janus Arch, the stainless steel water mobile at one of the entrances to Longleat, is fully functional again after having been stationary for a period of time. Janus Arch opens and closes with the changing weight of water as visitors pass under it on their way into the Longleat grounds.